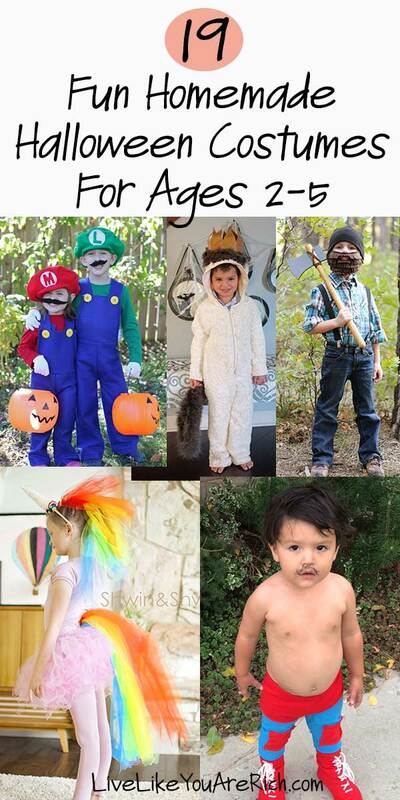 These 19 Fun Homemade Halloween Costumes for Ages 2-5 are inexpensive, easy to make and totally awesome! If you caught my Halloween costume post for babies and toddlers that I published a few days ago, you know how much I love making homemade Halloween costumes. I’ve rounded up some great ones that are not only darling, creative, and cute but are also inexpensive (and a few of them are quite easy to make). Enjoy! 1. 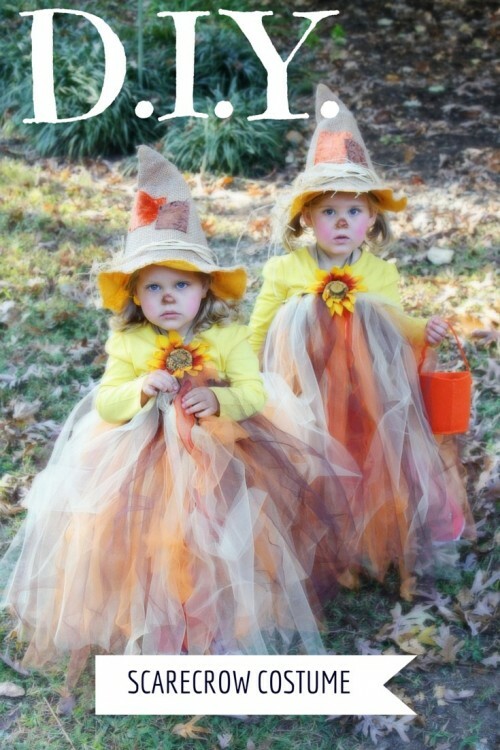 DIY Scarecrow Tutu Halloween Costume – This TRULY is an easy project. It is time-consuming but easy. 2. DIY Peacock Costume Tutu – This peacock tutu is so simple to make and takes no sewing skills! In fact, you could even just glue this all together! 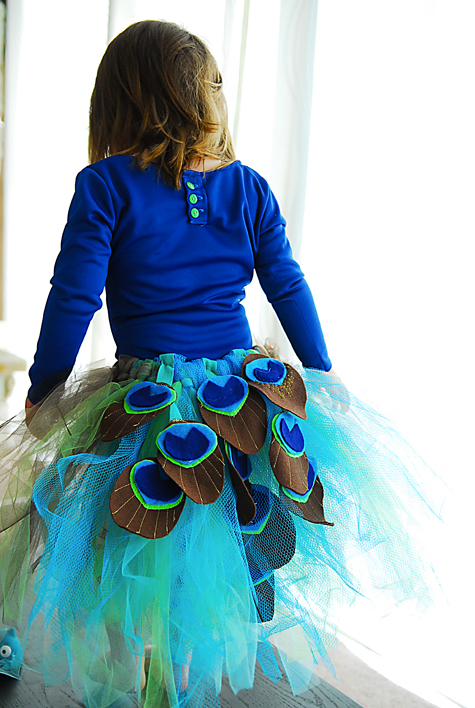 This fun peacock tutu could be used for Halloween, birthday parties or just everyday dress up! 3. 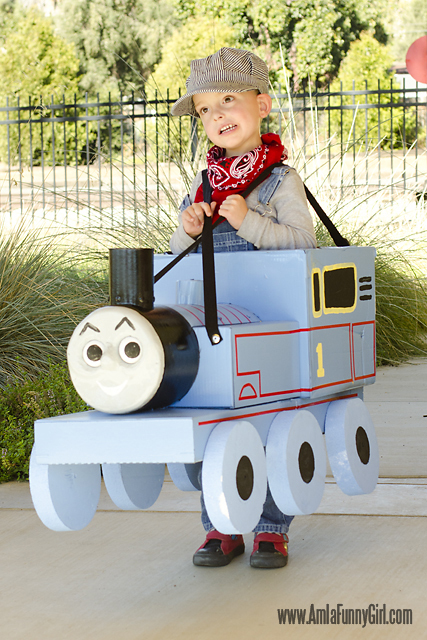 Thomas the Train costume – It’s made with various cardboard boxes and tubes. It’s creative and relatively easy! 4. 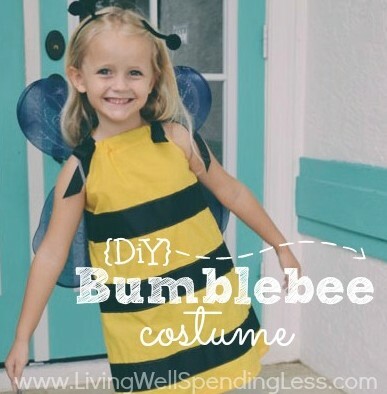 DIY Bumblebee Costume – Altogether, you will spend about 2 hours making two dresses. 5. 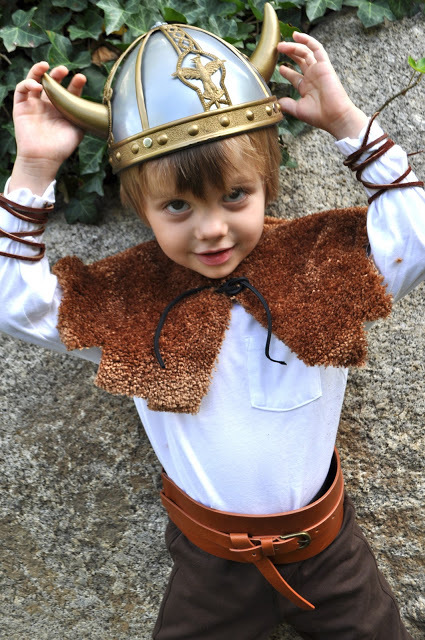 Viking Costume – Cute and creative! 6. 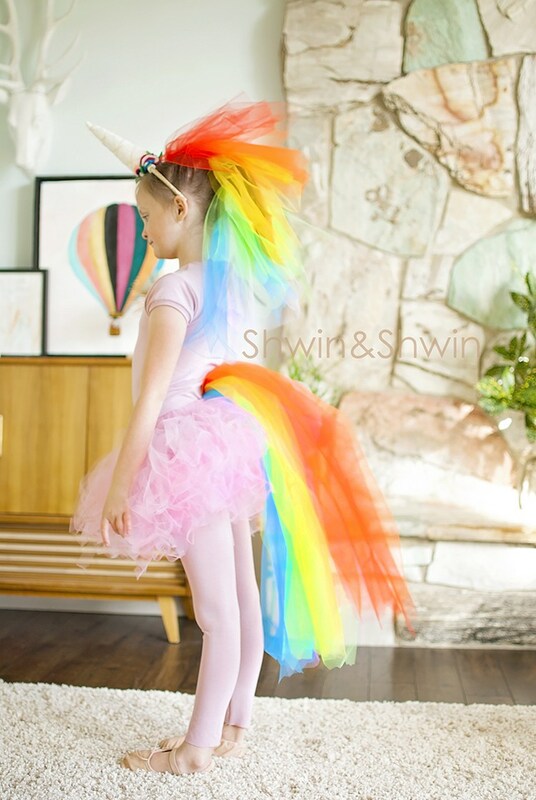 DIY Rainbow Unicorn Costume The costume is super easy to make. 7. 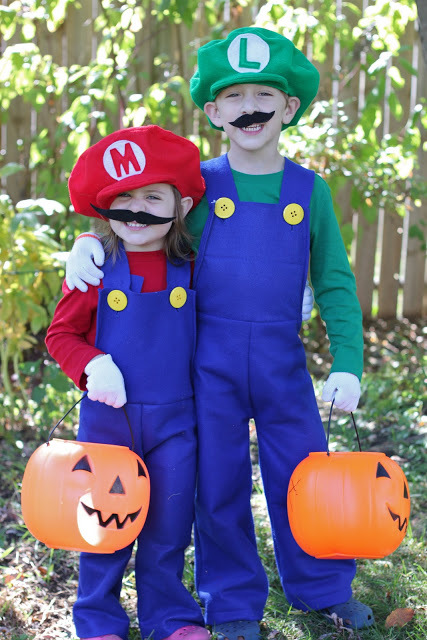 Mario and Luigi Costumes – is a pair of felt blue overalls with big yellow buttons, long-sleeved t-shirts, magic stretch gloves, mustaches, and classic Mario and Luigi hats. 8. Firefighter – This is one of the cutest costumes ever! 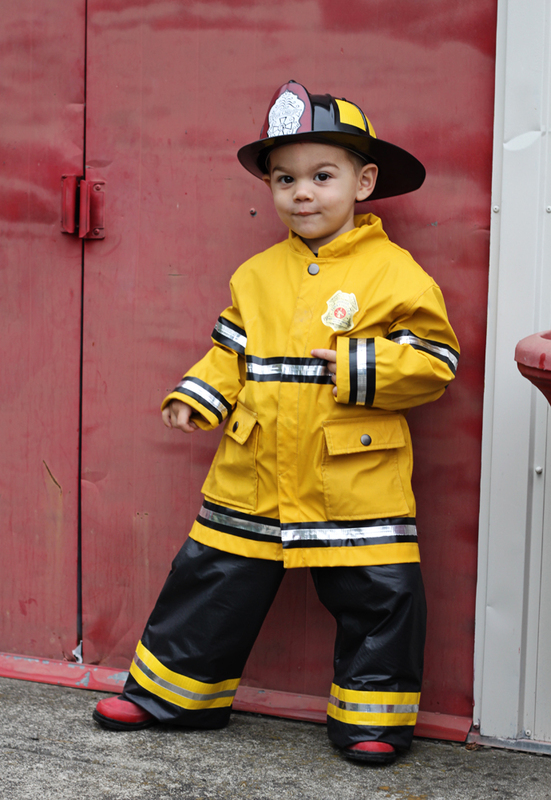 Electrical tape turns an ordinary raincoat into an awesome firefighter costume. 9. Mr. Rogers – You can probably find everything you need right in the closet. 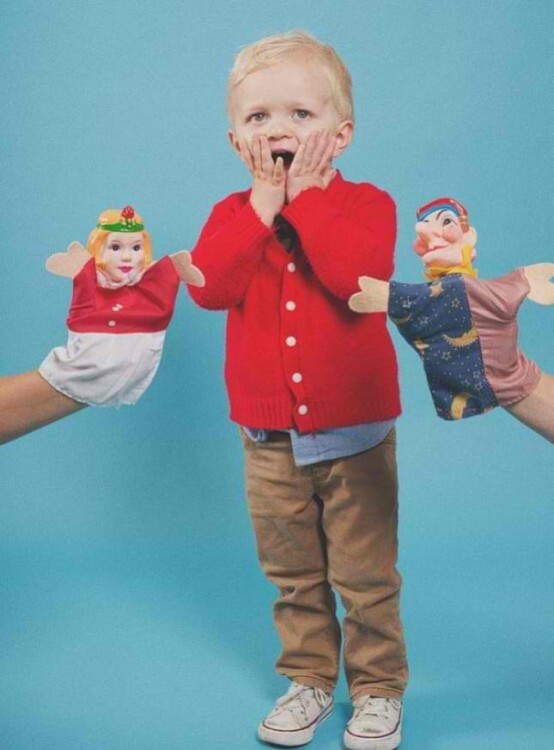 Make a few hand puppets or splurge on vintage ones. I love Mr. Rogers. 10. 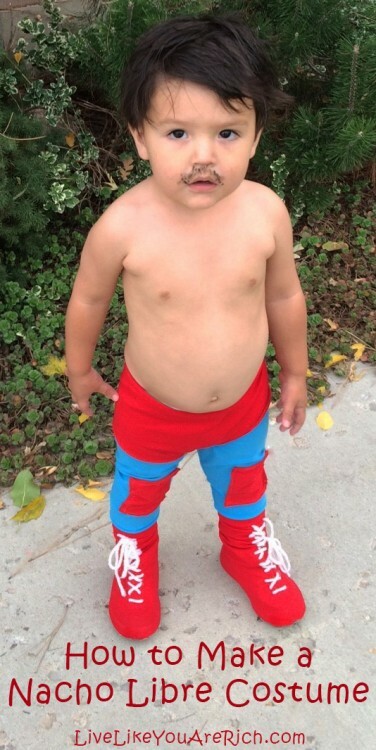 Nacho Libre Costume – For someone who can sew a straight line, this is a very easy costume. We also got tons of laughs and funny Nacho quotes said to us while out trick-or-treating! 11. 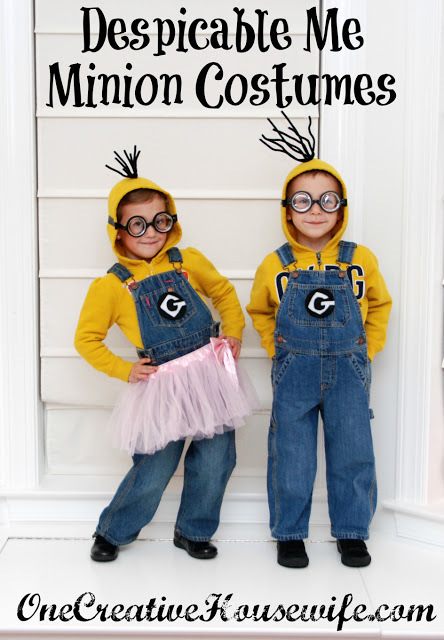 Despicable Me Minion Costumes – Fun and quick—plus super easy! 12. DIY Dinosaur Costume – Fun, easy and inexpensive to make! 13. 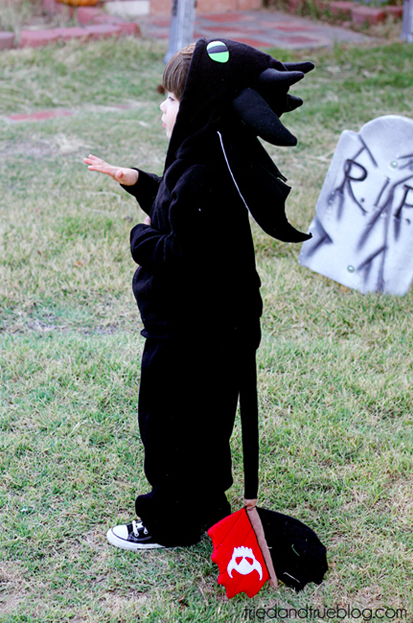 Max from “Where the Wild Things Are” – This costume was a faux fur throw blanket—how creative! 14. 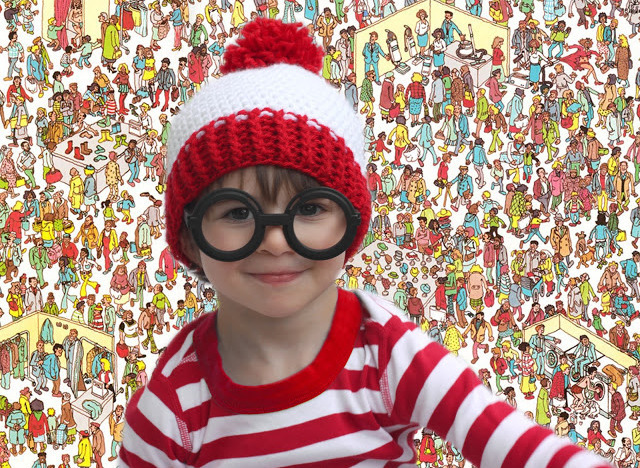 Where’s Waldo – If you know how to crochet, this would make a great DIY costume! 15. 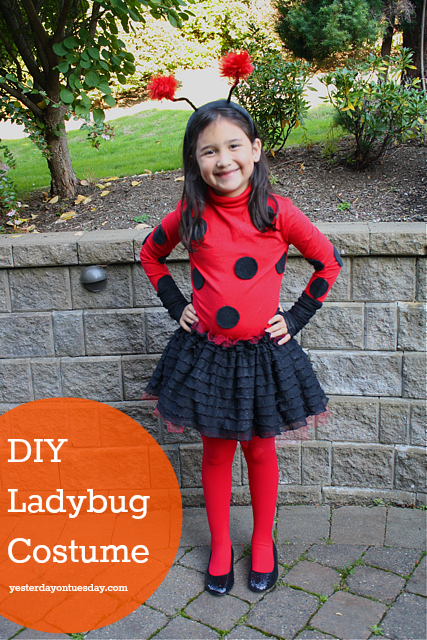 Diy Ladybug Costume – it’s a sweet ladybug costume! There are quite a few darling DIY elements. 16. 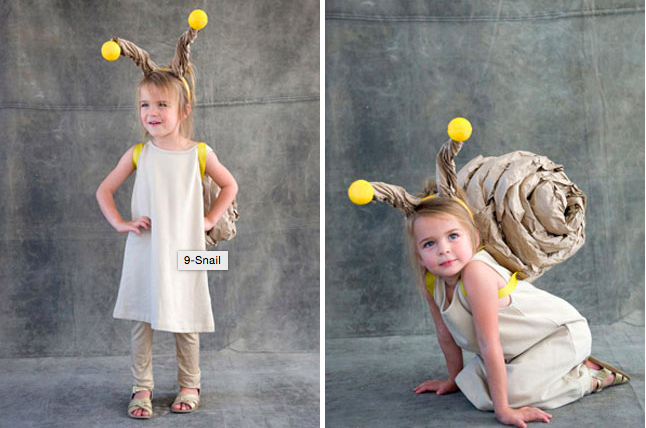 Snail Costume – The main thing you need for this costume is a brown kraft paper to make the shell. The little trick or treater wears it like a backpack. So creative! 17. 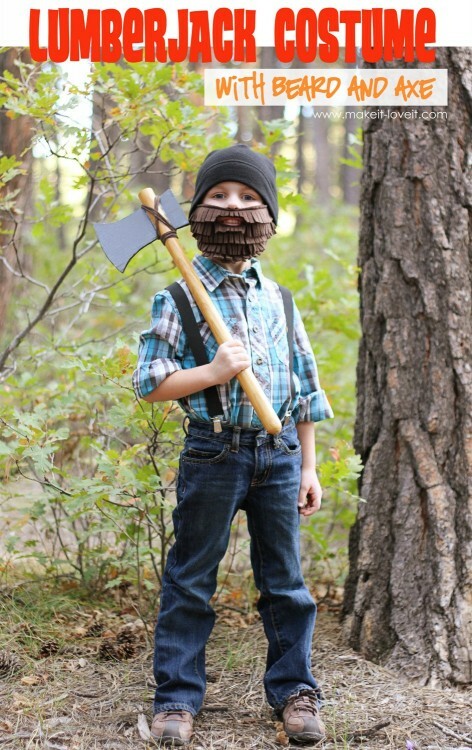 Lumberjack with Beard and Axe – Kids wearing beards or mustaches is an instant win in my book. 18. Toothless– Awe my son would die if he saw this! He loves How to Train Your Dragon. So creative! 19. 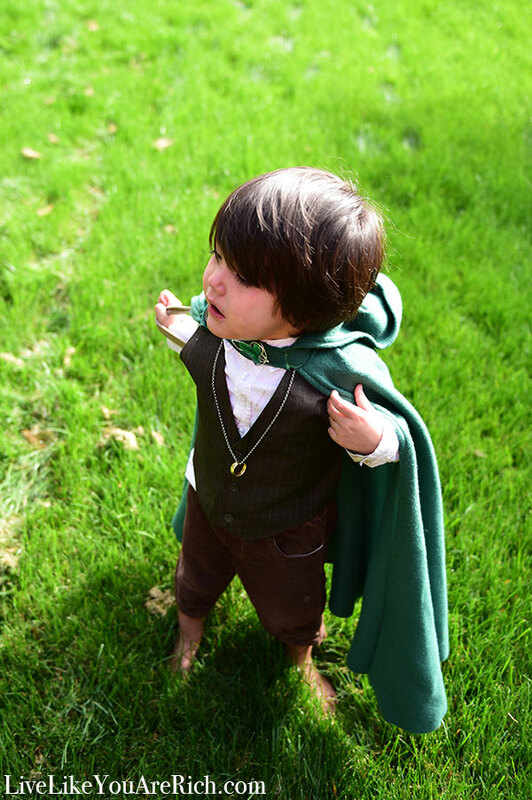 Frodo Baggins– My son was Frodo Baggins from the Shire. I loved putting this costume together. For other ‘living rich’ and financial tips subscribe, like me on Facebook and follow me on Pinterest and Instagram. I love these! My husband is thinking of making our son a train costume, but I think we might just all be cowboys instead! Those all really cute! So much creativity! Thank you so much for sharing with us at Thursday Favorite Things blog hop.